Elon Musk is back at it on Twitter. No, Musk's not fibbing about taking Tesla public or offering up any incorrect production data. This time he's safe from SEC scrutiny. He's talking with fans about pickup truck towing capacities. Now, before we go too far, it should be noted that Elon Musk and Tesla don't presently produce a pickup truck. Nor have they shown the world a working production model slated for later production. The Tesla pickup truck is just another vapor-vehicle at the luxury electric vehicle company we all know and love. In the exchange, Elon musk reveals that he considers 12,000 pounds a "puny" towing capacity. We'll jump to the conclusion that any future pickup truck from Tesla would exceed that "exponentially." After all, a Tesla vehicle or its owner won't tolerate being called puny in any regards. Stepping back a bit, let's add some perspective. 12,000 pounds is roughly equal to the weight of three pickups or two and a half Tesla Model X minivans. Or about four midsize sedans. Another metric we like to use is our editor, Patrick Rall's two-horse trailer. With two huge horses loaded, the entire rig is under 6,000 pounds. Pulling 12,000 pounds is nothing to sneeze at. If you need more, Ram has a pickup for you, it just won't be a Ram 1500. 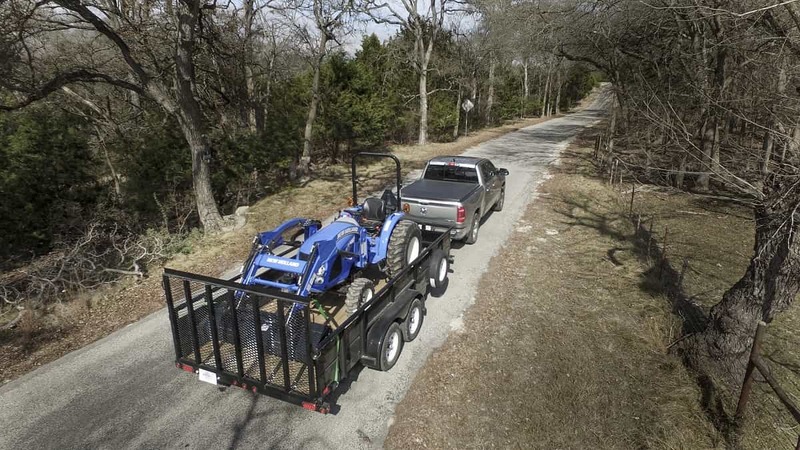 The Ram 2500 can tow about 20,000 pounds. The 2019 Ram heavy-duty can tow over 35,000 pounds. We're not sure which truck the person tweeting with Elon Musk drives. He called it a "Dodge Ram." As my PR contacts at Ram are always quick to point out, there is no such animal anymore. FCA America dropped the Dodge part of its truck branding a while back. Whatever truck it is, 12,000 pounds sure sounds like a lot of weight to us. It is good to know that when Tesla's pickup is finally launched it will exceed that "puny" number by a huge margin.